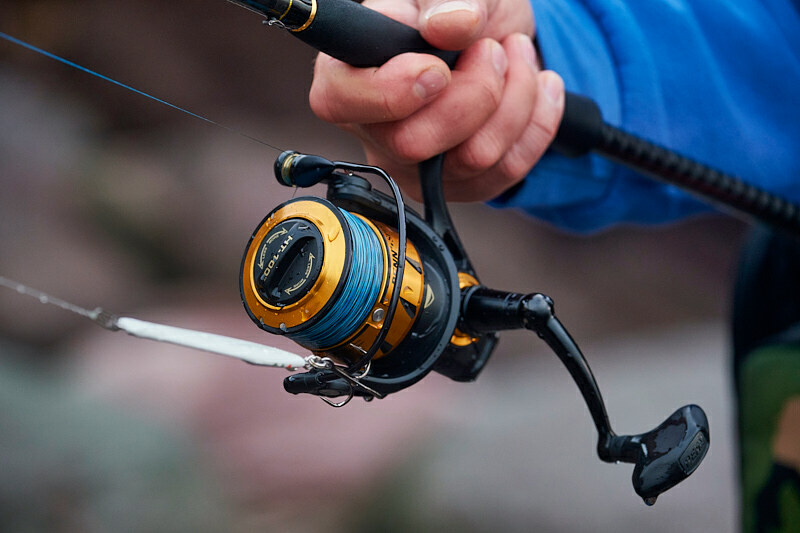 Nope, I am not telling you to go out and buy a new fishing rod because if you want to bang a few lures out into an autumnal or winter surf the chances are that you already have a lure rod that’ll do just fine. I’m merely thinking aloud here and because it’s the way my brain is wired, when I am out fishing I am often thinking about how I might better deal with the specific conditions I am faced with…….. So I take a session from last week for example which I alluded to here in fact. Good sessions and then blank sessions are starting to really inform me about what surf conditions I need to be looking for and so on (because not all surf is remotely the same), but the common factor with surf fishing seems to be wind, or rather the fact that when I head out to chuck lures off a beach and into some surf I am having to deal with generally a lot more breeze than when I might chuck a DoLive Stick around a quiet estuary or something like that. And for that “direct contact” kind of lure fishing I’ll take the loveliest high-end Japanese lure rods you can throw at me thank you very much, but when that wind starts to blow and my braid is all over the place, tables of tugging surf are trying to knock me off my feet, and I am struggling to maintain contact with my (more often than not) metal lure, well in my opinion you can forget about all that lovely high-end subtlety. I don’t need it, I don’t want it, and it seems to me that the surf type of lure rod I am leaning towards doesn’t actually need to break the bank. The one thing I am finding out that I seriously don’t want from a lure rod for my surf fishing is a rod tip that bounces around in the breeze - which means I am after a pretty “stiff in the tip” lure rod but very importantly I don’t want it to be so bloody powerful that my shoulders want to fall off after an hour or so. I am increasingly leaning towards a good 25-40g and perhaps 50g metal that cuts into the wind as being about as heavy as I am needing to go so far, hence I don’t find myself needing a scaffold pole of a rod which of course it could be if I want something fairly stiff or extremely “steely” and fast. I tried out a new lure rod at the start of last week and for banging lures out it’s an absolute dream - so easy and effortless and efficient. But now I am trying to work that same rod in a strongish side wind and it’s driving me mad how the tip is flapping around like a demented tulip and I feel like I have lost all connection to my lure. 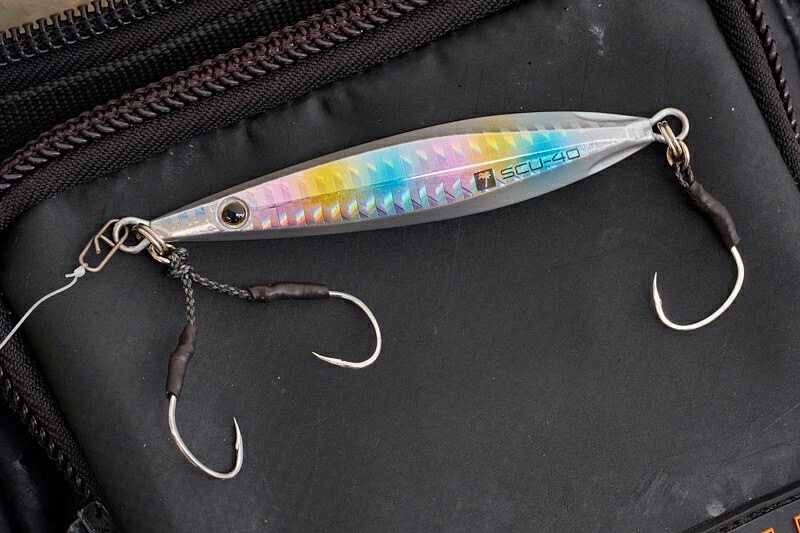 I grant you that for simply whacking and cranking metals this might not really matter, but I am increasingly drawn to some of those fantastic looking and very interesting slow-jigs for some of my surf fishing - and for them I need all the contact to my lure I can get. The not cheap and by a margin the best 9’6’’ lure rod I have ever fished with as an example doesn’t do it for me when I am faced with some proper surf. I have never liked a lure rod as much as this incredible Shimano Exsence Infinity S906M/RF 9’6’’ 6-38g lure rod (review here), and the tip on it is utterly sublime, but I find myself increasingly drawn to some considerably cheaper lure rods for my surf fishing because their slightly lack of subtlety in the tip sections is in fact what I want. I am starting to play around with the HTO Nebula 10’ 15-56g lure rod for example, and whilst its power and stiffness make it into a lure rod I don’t really want for my day to day lure fishing as such, I absolutely love it in a decent bit of surf, a whole lot of breeze, and some metals on the end of my line. Paired with the awesome Penn Slammer III 3500 or 4500 spinning reel (review here) or indeed the brand new Penn Spinfisher VI 3500 or 4500 which are cheaper, lighter and nearly as well protected against saltwater intrusion than the incredible Slammers, it’s a hell of a sweet combination for some fairly heavy duty surf fishing. What I really want now is that rather fantastic HTO Nebula 9’ 12-42g lure rod (review here) taken to 10’ long and at the same casting weight, because this I reckon would make for a brilliant surf style lure rod for targeting our bass in some wonderfully turbulent conditions, but with a touch more “precision” in the tip than the heavier 15-56g version. Another lure rod I have had a few casts with and am starting to fall for in a big way is the new Apia Grandage 100M 10' 12-42g lure rod. Give me more time with it for a proper review, but to me it’s a lot better than the previous generation and now discontinued APIA Foojin’R Grand Swell 96MH 9’6’’ 7-42g which I really liked, and overall it’s a lot more versatile than the admittedly somewhat cheaper HTO Nebula 10’ 15-56g. Lots more to think about as I hope for lots more ideal surf fishing conditions over the next couple of months………….